We are passionate about delivering value to our clients and our people. CEO, Rob Borrego, and others describe what Credera is like and what sets us apart from other consulting firms. Credera is a full-service management consulting, user experience, and technology solutions firm. Our clients range from Fortune 500 companies to emerging industry leaders. We provide expert, objective advice to help solve complex business and technology challenges. Our deep capabilities in strategy, organization, process, analytics, user experience, and technology help our clients improve their performance. Clients depend on our ability to anticipate, recognize, and address their specific needs. We value each of our clients. Our relationships with them are earned, built on a foundation of professional and relational trust. To learn more about our people and services visit our Overview of Service Areas. At Credera, our people are the difference. Walk down our halls and you’ll see a strong work ethic and an unwavering commitment to our clients. Together we are committed to providing unmatched quality and the highest level of service. In addition to a unique combination of technical knowledge and business expertise, our consulting firm is made up of servant leaders who live by our core values. At Credera, we are a family who genuinely care for one another, our clients, and our community — and we have a lot of fun together! Whether you’re just starting your career or looking to take the next bold step on your journey, we have unique opportunities for both recent graduates and experienced professionals. Visit our careers section to learn more. 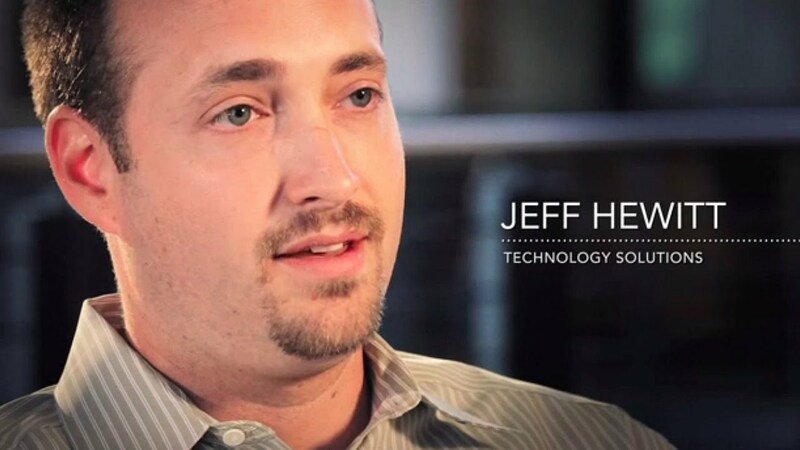 Jeff Hewitt, a Technology Solutions team member, shares how he invests in his family at home and at work. Whether you’re just starting your career or looking to take the next bold step on your journey, we have opportunities for both recent graduates and experienced professionals. We invest time, talent, and resources into people and programs where we live and throughout the world. At Credera, we serve not only our clients and employees but also our communities. We invest our time, talent, and resources into people and programs where we live and throughout the world. We currently focus on organizations we believe have an immediate and meaningful impact. Our financial support is targeted toward organizations where our own employees are personally involved and relationally and financially invested. We have partnered locally with several youth-focused organizations such as Miracle League, Young Life, West Dallas Community Schools, and others. Our international relationships extend to organizations working throughout Southeast Asia, Zambia, and East Africa. In today‘s marketplace, the rules of business are rapidly changing. We believe our daily values must remain steady and consistent, regardless of circumstances. Our values are the building blocks of our culture and the basis for everything we do at Credera. Never doubt that a small group of thoughtful, committed people could change the world. Indeed, it’s the only thing that ever has. Professional people do what they say they will do and refuse to make excuses along the way. We bring a respectful attitude and the right skills to every situation. We never try to “sell” a client on a perfect plan or solution. There’s no such thing. But we do achieve remarkable results in everything we do. In every behavior we seek consistency with what we have said we believe. Our actions match our words. We do the right thing, even when no one is watching. In every decision we consider our clients’ and colleagues’ interests as more important than our own. When we are wrong, we own our part, ask for forgiveness, and work to rebuild confidence and trust.